If you clean out your cat’s litter box and notice blood in the stools, you need to take some action to help your cat. This doesn’t necessarily mean a trip to the veterinarian, particularly if there’s only a small amount of blood in the stools. Bloody stools can be sign of minor infections, allergies or polyps, among other things. Try a natural remedy or two with your cat first and see if you get positive results. If your cat eats something that doesn’t agree with him, it can cause bloody stools. This might be spoiled food, roadkill, garbage or even table scraps. The blood can be caused be an allergic reaction to the food or consuming parasites and toxins in the foods. If your cat is an outdoor cat, it will be harder to watch what he is eating. You may want to bring him indoors so you can watch his diet and see if the blood disappears from the stools. If you can use a natural cure to remove the blood from your cat’s stools, it will be better for your cat than a medication that can be hard on your cat's system. Try using Psyllium nigrum, Avena sativa (oats) or Aloe ferox. These are natural cleansers of the digestive system and come combined in a single capsule. You can find this product at online pet sites, but your veterinarian may be able to recommend a local store that carries it. Give your cat natrium muriacticum along with the natural cleansers. Natrium muriacticum is a salt that supports digestion and skin health, and the combination will help cleanse your cat’s digestive system. If the problem stems from your cat’s diet, try switching to natural cat foods without additives, preservatives or artificial colors. Changing up your cat's food may also help if the problem is an allergic reaction to something in the cat’s current diet. Also make sure your cat has plenty of fresh, clean water to drink. This will help the cat’s system flush out any toxins. If your cat has bloody stools and diarrhea, put your cat on a food fast of at least 24 hours and a water fast of 12 hours. 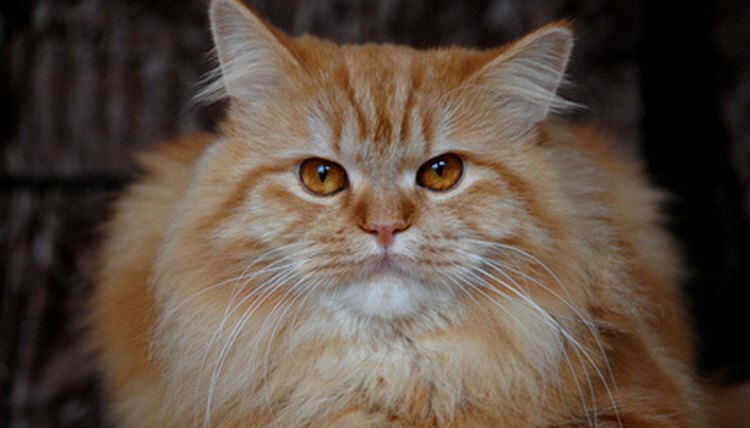 This will allow your cat’s system to concentrate on handling what is disrupting the digestive system, rather than dealing with new food coming through the digestive system. Once your cat comes off the fast, feed him cooked rice and skinless chicken along with some plain yogurt. The bacterial cultures in the yogurt will help calm the digestive system.